Somewhere in Chinatown lies Far East Plaza, which, at first glance, looks no different than its neighboring counterparts - Chinese characters blanket the buildings, red lanterns sway to the gentle nudge of the wind and worn tiled roofs curve upwards toward the sky. Inside the complex, however, lies a culinary incubator. Among this ever-growing community of creative minds, is Jack Benchakul. Upon meeting Jack, you are captivated by his subtle and simple demeanor. He's reserved, yet conversational and the passion he has for his craft of coffee is palpable. Like the time and effort he puts into preparing an assortment of his carefully crafted desserts, he's thoughtful, as he speaks with intention; faithfully thinking before speaking. Ex-biochemist and owner of Endorffeine unearths the fundamentals of his coffee and dessert creations and shares with us the unconventional tale about how his journey started with a coffee epiphany that took him years to fully live out. Benchakul had what some would call a traditional American upbringing, despite his Thai background. Born in New York and raised in Los Angeles, he grew up experiencing all the childhood classics - the delectable "Chef Boyardee [and] pizza rolls," which were delightful enough for the inexperienced taste palette of any young person. 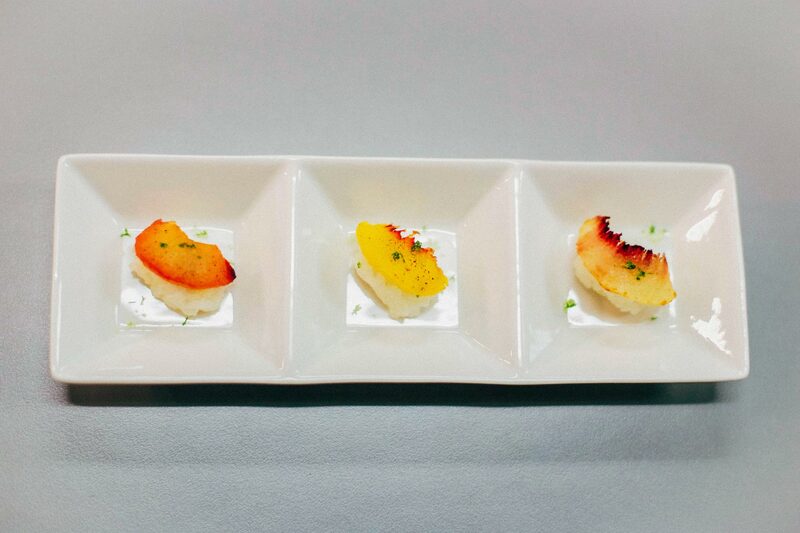 "[It]started with a bite of sushi in San Francisco. I had preconceived notions of what sushi was - mostly negative. I took a bite, and I was hooked. I was sad that I wasted the first 20 something years of my life not eating or trying different foods. From that moment on, there's nothing that I won't put in my mouth that's edible because you never know what you're missing out on. And so I also approach my drink and coffee and most life experiences that way." And this culinary revelation resonated, existing within him for years. Benchakul initially pursued a prosperous and stable career in biotech for about 11 years, developing cancer-fighting pharmaceuticals benefiting patients worldwide. The perks of working as a scientist in biotech were infinite, but having access to "high-end restaurants, midlevel mom and pop places," was the best of all. And for Benchakul, living in San Francisco, one of the food emporiums of the world, ignited his infatuation for exquisite cuisine. 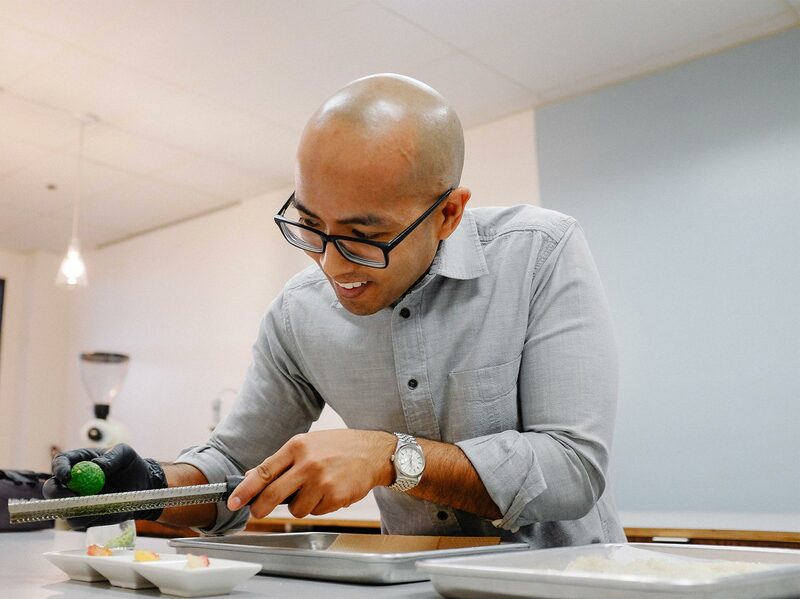 Inspired by the local San Franciscan cuisine, he enrolled in Tante Marie's, a small culinary school, in San Francisco meanwhile keeping his full-time job in biotech. He attended night and weekend classes and immersed himself in the art of pastry & baking. Benchakul chuckles as he admits that, "[he] still find[s] it difficult to bake cookies," but deeply admires the clash of food and science - two worlds that are distinct, yet so intertwined, making the impossible, possible. He wholeheartedly dove into the world of cuisine, staging at the patisserie dreamland Miette and since closed Rubicon. During one of his shifts, he remembers a prolific coffee run that changed the course of his career forever. One of the pastry cooks went for a coffee run [at] this tiny kiosk called Blue Bottle. Up until that point, I never had good coffee because it was always bitter. I took a sip, without the cream, and it was mindblowing. That was sort of my coffee epiphany, my lightbulb moment. ?One of the pastry cooks went for a coffee run [at] this tiny kiosk called Blue Bottle. Up until that point, I never had good coffee because it was always bitter. I took a sip, without the cream, and it was mindblowing. That was sort of my coffee epiphany, my lightbulb moment.? Benchakul's true calling came in the form of a steaming hot cup of coffee that was brewed to perfection, and he ran with it. 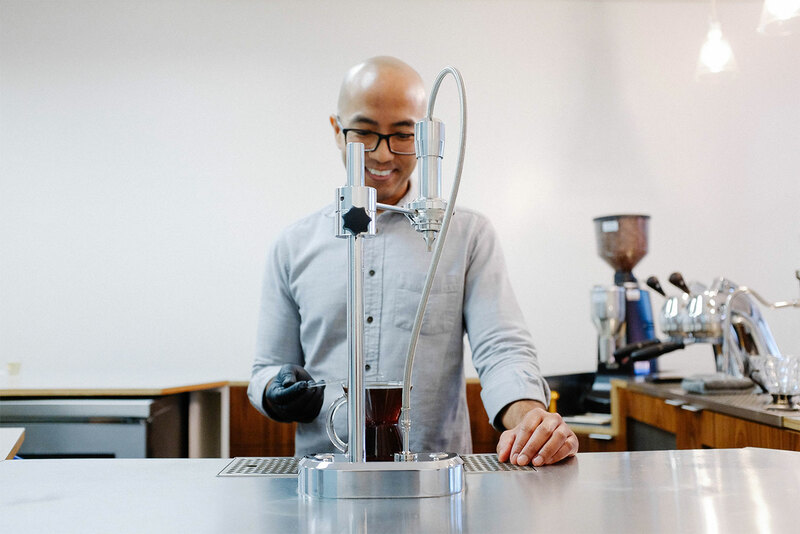 "I couldn't have thought of a better place actually to begin my coffee education," says Benchakul referring to San Francisco, the locality that encouraged his journey to food. 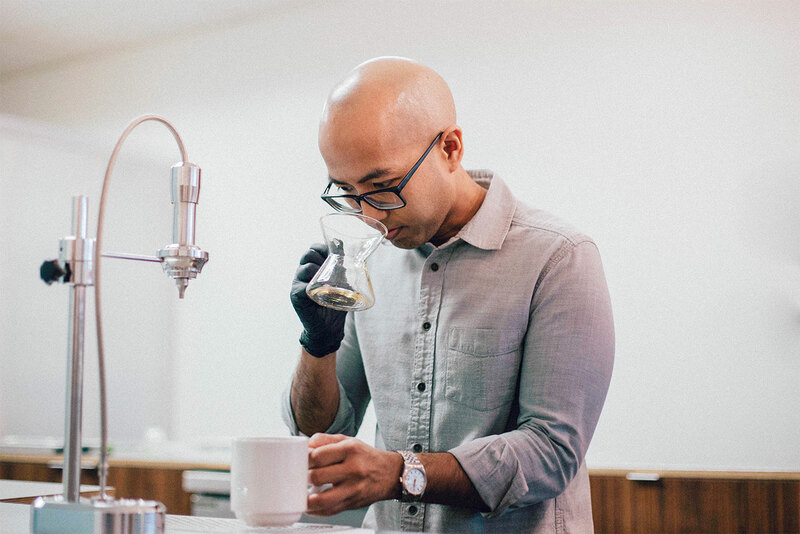 Naturally, he decided to take a few barista classes in the Bay Area. 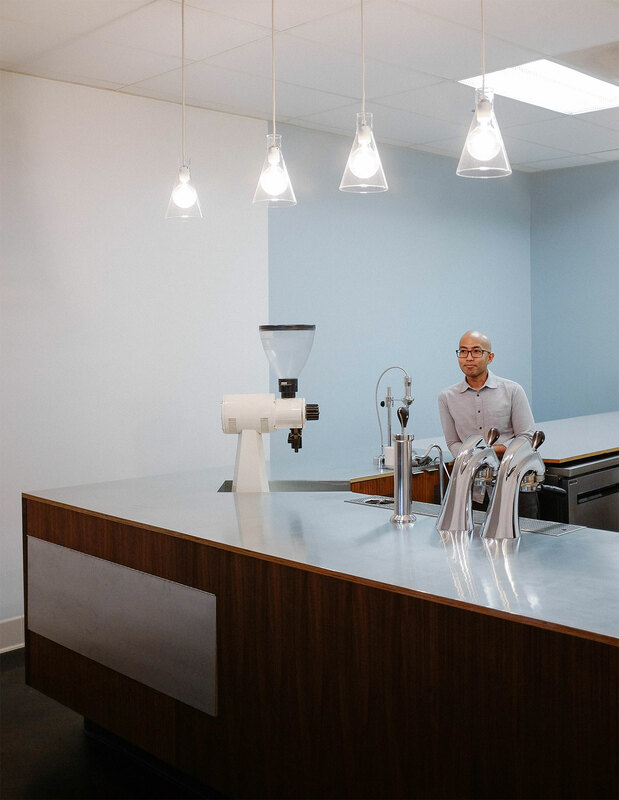 Slowly but surely, his gears shifted toward the world of coffee. Benchakul relocated to Los Angeles and applied to be a barista at a few established coffee shops while continuing a full-time job in biotech. Like San Francisco, Los Angeles was the up-and-coming coffee destination, and Benchakul was ready to take ship. He was offered a position at Cafe Demitasse in Little Tokyo, where he primarily worked on weekends. 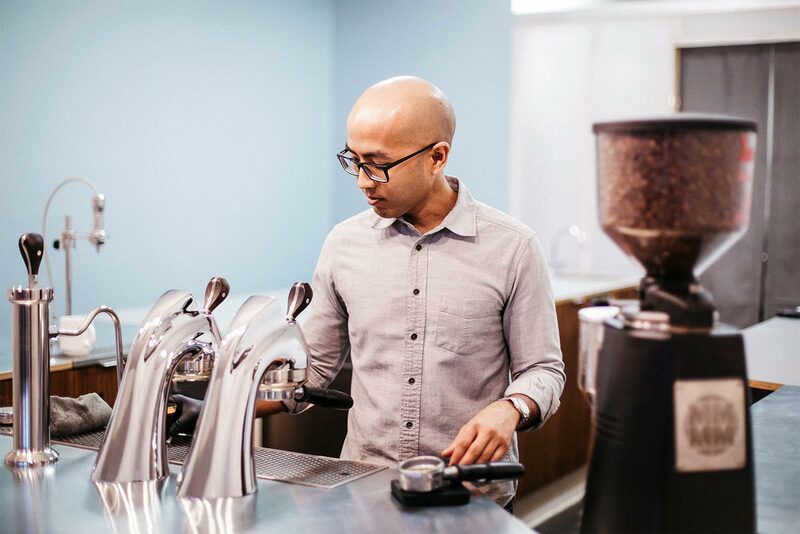 His passion for coffee shone through, revealing he, "really looked forward to working on bar on weekends than actually working at Amgen," his full-time biotech job. In the following years, he was able to marry his technical background with the language of cooking through Endorffeine - a beautiful culmination of chemistry, art, and culinary analysis. Endorffeine houses a minimalistic space, which, with its barren walls and lack of tables, may initially seem incomplete. "I put everything I have into this space," Benchakul says as he grins, his face radiating pride at his humble shop. 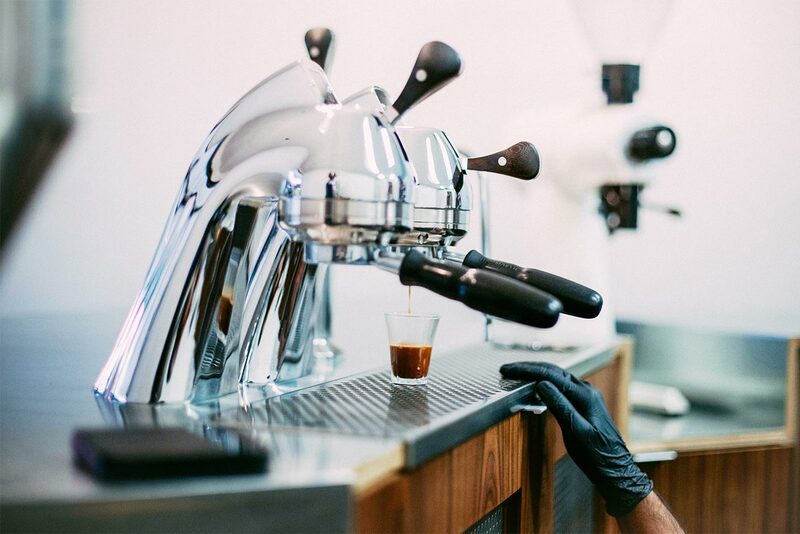 From the laboratory flask light bulb fixtures to the sleek dual Modbar espresso modules, each element speaks volumes of his attention to detail. The U-shaped bar and simplistic design plays into Benchakul's curiosity with his customers and allows for casual conversation. That's one of the best parts about this career because in biotech my world was pretty much limited to, at the most, maybe a dozen people, but here it's like hundreds of people. Everyone has a different background, but the one thing in common is that they're interested in coffee, says Jack. 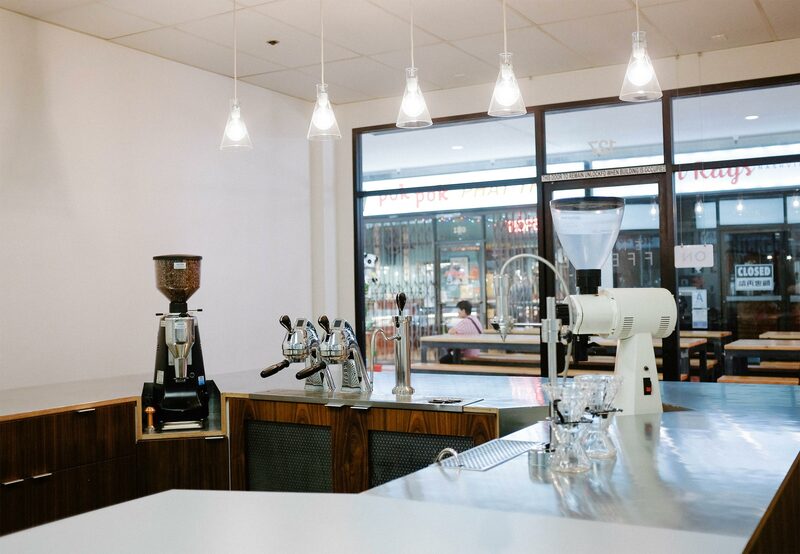 I designed the space the way I did to sort of challenge the notion of what people think about coffee in this country. I wanted to open up their minds to the menu without any pretension or notions of what specialty coffee are. Amidst the conventional pour-overs and cappuccinos are Benchakul's own inventive creations: vanilla-pandan and palm sugar-whiskey latte are among the few. The open layout allows for transparency between Benchakul and his guests - from grinding the beans to pulling a shot of espresso - Benchakul's precision and focus are clearly expressed behind the countertops. Every time I pull a shot of espresso, it's always different, but I like to believe that it's always good, he says as he describes his process, and in a way, his ethos. I don't think you ever want it to be the same. Everyone is different, and everyone is special in that way so every drink, every course, should reflect that. Benchakul translates his attitude with coffee into Nine, a dessert and cocktail pairing event driven by seasonal ingredients. The summer menu currently includes fruit sushi paired with a jasmine coffee blossom sake. Upon first bite of the fruit sushi, his Thai influence is immediately evident. 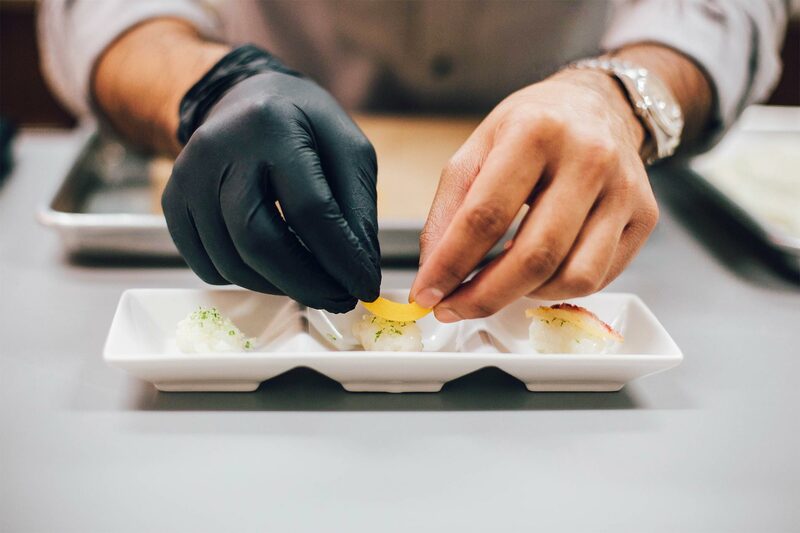 Fresh peaches cooked slowly in browned butter sit gleaming atop the sticky coconut rice, the makrut lime zest wasabi adding a bright finish to the dish. For me, it was very natural to go back to Thai flavors, he says when describing his heritage and its influence, honing in on his current obsession with makrut lime zest. He smiles as he continues, Makrut is used in a lot of Thai cooking. It's almost a savory type of lime, but in Thai cooking, generally cooks will use the leaves, but I actually use the zest. It has a lot of really nice essential oils in there and it just it pops. Benchakul chooses to remain the sole barista at Endorffeine, calling himself a student of the craft. His philosophy is uncomplicated but profound. He finds meaning in the details and strives for innovative ways of refining his technique. Giving insight on the process of his craft, he reflects stating, "If you do something over and over again, it is pretty simple. I don't want to say perfection because perfection is different for everyone, but if you are chasing the nuances and the things that make something relatively simple very special, then you're never going to stop looking for that. " As a deep-rooted student of coffee, Benchakul is always searching for moments of learning and growth. He concludes with, "I believe in fate and I think everything sort of happened the way it was supposed to."